One will not find one scientist to dispute the reduced activity that the sun. All the global warming crowd can do is either ignore the sun completely or pretend the sun does not have an impact in the weather on earth, which wouldn’t be true at all. The Sun is the source of most of the energy that drives the biological and physical processes in the world around us. The rate of energy coming from the Sun changes slightly day to day. Over many millennia the Earth-Sun orbital relationship can change the geographical distribution of the sun’s energy over the Earth’s surface. Changes in solar output obviously affects our climate—both directly, by changing the rate of solar heating of the Earth and atmosphere, and indirectly, by changing cloud forming processes. Small fluctuations in solar activity have a large influence on climate. Subtle connections between the 11-year solar cycle, the stratosphere, and the tropical Pacific Ocean work in sync to generate periodic weather patterns that affect much of the globe, according to research appearing in the journal Science. The study can help scientists get an edge on eventually predicting the intensity of certain climate phenomena, such as the Indian monsoon and tropical Pacific rainfall, years in advance,” writes Science Daily. “Is it possible that everything we do is dwarfed by the moods of the star that gives life to the world? The Sun is incomparably vaster and more powerful than any work of man. We are forged from a few clods of solar dust. The Sun powers every plant and form of life, and one day the Sun will turn into a red giant and engulf us all. Then it will burn out. Then it will get very nippy indeed,” wrote The Daily Telegraph. The German Herald reported on March 31, 2013, “German meteorologists say that the start of 2013 is now the coldest in 208 years. It was May of 2013 that the headlines in Forbes Magazine read, “To the Horror of Global Warming Alarmists, Global Cooling Is Here.” Scientists, the ones who still have their wits about them, have known for as long as 19 years that the world has been cooling and have predicted exactly where we now are. Another indicator of the level of solar activity is the flux of radio emission from the Sun at a wavelength of 10.7 cm (2.8 GHz frequency). This flux has been measured daily since 1947. It is an important indicator of solar activity because it tends to follow the changes in the solar ultraviolet that influence the Earth’s upper atmosphere and ionosphere. Radio emissions have been shown to follow the sunspot number quite closely thus this chart is just one more proof of the sun’s diminished heat giving rays that is giving rise to global cooling. Warming just cannot happen without the full cooperation of the sun. Curiously, the speed of the million-mph solar wind hasn’t decreased much—only 3%. The change in pressure comes mainly from reductions in temperature and density. The solar wind is 13% cooler and 20% less dense. ‘Cycle 25,’ the next 11-year activity phase, will be one of the weakest in centuries, NASA predicts—a decrease that will mean fewer flares and more fleece sweaters. This graph by the Royal Observatory of Belgium plots the three cycles leading into the Dalton Minimum (in blue), overlaid with the most recent three cycles (in red). The display is current through September 2014. Both sets of three cycles have shared similarities. The entire professional discussion in solar scientist circles is not about warming but about how cold it will get and for how long. Presently in 2118 sunspot activity is crashing down to a minimum number of sunspot activity. The sun’s current space-weather cycle is the most anemic in 100 years, scientists say. 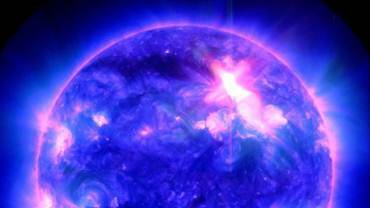 Our star is now at “solar maximum,” the peak phase of its 11-year activity cycle. But this solar max is weak, and the overall current cycle, known as Solar Cycle 24, conjures up comparisons to the famously feeble Solar Cycle 14 in the early 1900s, researchers said. “None of us alive have ever seen such a weak cycle. So, we will learn something,” Leif Svalgaard of Stanford University told reporters here today (Dec. 11) at the annual meeting of the American Geophysical Union. This is what the sun currently looks like. If you notice, the sunis completely free of sunspots. 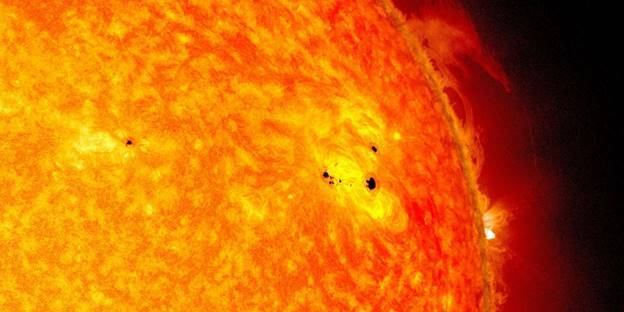 If there were sunspots, you would see some small dark circles forming on the surface of the sun. 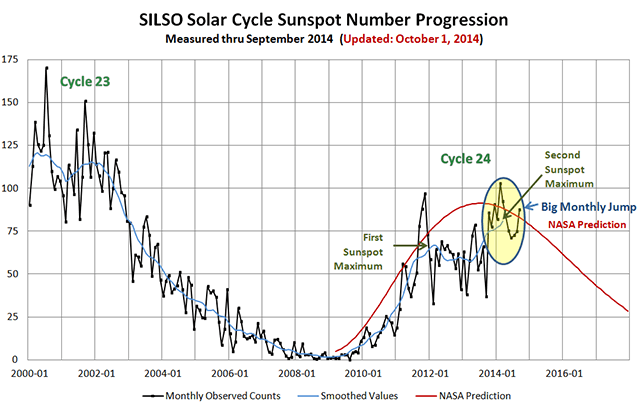 According to NOAA and NASA, the sunspot cycle hit an unusually deep bottom from 2007 to 2009. In fact, in 2008 and 2009, there were almost NO sunspots, a very unusual situation that had not happened for almost a century. 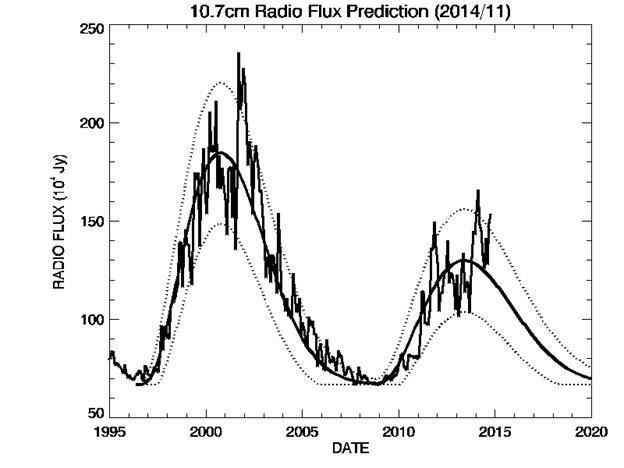 Due to the weak solar activity, galactic cosmic rays were at record levels. Solar Maximum: The sun’s record-breaking sleep ended in 2010. 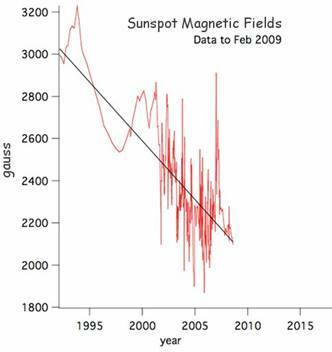 In 2011, sunspot counts jumped up. 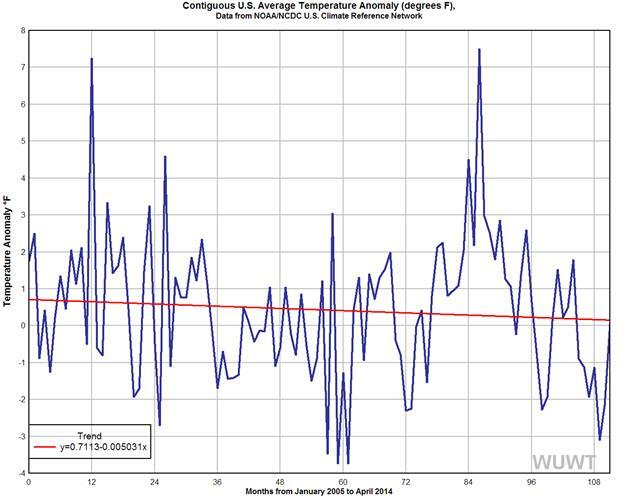 However, they remained low with a small peak in February of 2012. Throughout 2013, the sun was relatively quiet. We are now facing an extremely low period of solar activity over the coming years and decades. 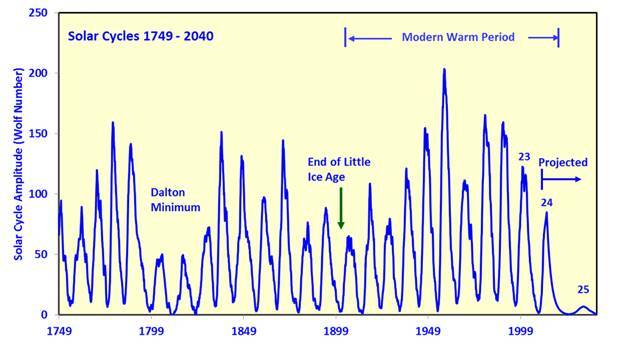 Due to the strong correlation of historical evidence, we can conclude that we are sitting right on the cusp of another mini ice age. Sami K. Solanki of the Max Planck Institute for Solar System Research believed ahead of the rest that the Sun would leave its fifty to sixty year long grand maximum of the second half of the 20th century. He had said previously that the Sun was more active in the second half of the 20th century than in the previous 8,000 years. 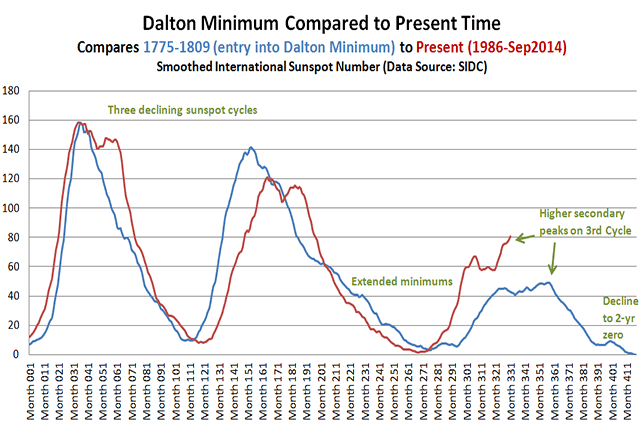 Solanki holds that a repeat of the Dalton Minimum is most likely, and that the earth is in for an unusually deep and long solar minimum. 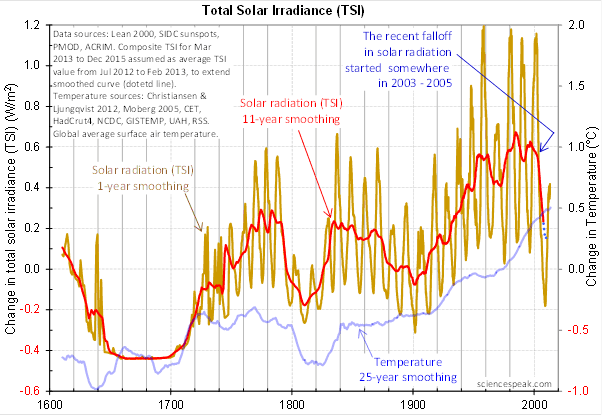 “The global warming of the past decades was caused by the Sun. It is now over. It will not return based upon the SSRC’s research, for at least thirty years. It will then return only because the Sun’s repeating cycles of activity are scheduled to pick up again at that time. We should not waste another minute, another penny in controlling something that simply does not exist, namely man-made climate change and global warming. It is essential for the welfare of all Americans if not the world, that in light of these new and startling changes in the Earth’s temperature and the profound changes in the Sun, that the next administration initiate a top-down review and redirection of climate change policy as soon as President Obama takes office,” concluded Casey. 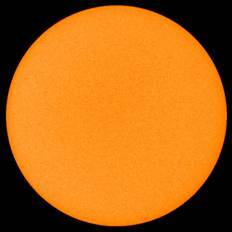 By the standard of spotless days, the ongoing solar minimum is the deepest in a century, NASA reports. In 2008, no sunspots were observed on 266 of the year’s 366 days (73%). To find a year with more blank suns, you have to go all the way back to 1913, which had 311 spotless days (85%): The lack of sunspots in 2008, made it a century-level year in terms of solar quiet. Remarkably, sunspot counts for 2009 have dropped even lower. Spotless Days so far in 2009 is 258 days already with the current stretch of spotless days being 15. 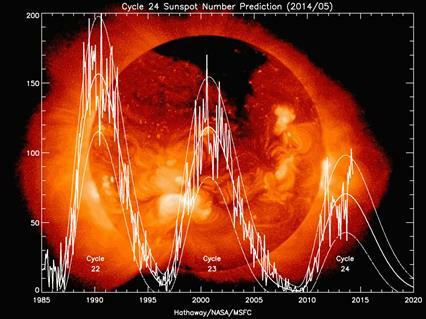 The BBC early in 2014 put out a video warning of rapid deflation of solar activity. The video predicts the next ice age starting in forty years. Leonard Nimoy broadcast on television in May of 1978 “The Coming Ice Age,” a show where all manner of experts and climate scientists were trotted out to warn the world of the run-away global cooling that was just around the corner. Mike Lockwood, professor of space environment physics, from the University of Reading, through an analysis of ice-cores, which hold a long-term record of solar activity, suggests the decline in activity on the sun is the fastest that has been seen in 10,000 years. “It’s an unusually rapid decline,” explains Prof Lockwood. The Sun is the Mother when it comes to Climate. “Something is up with the sun,” writes the Wall Street Journal in 2013. “Scientists say that solar activity is stranger than in a century or more, with the sun producing barely half the number of sunspots as expected and its magnetic poles oddly out of sync. Based on historical records, astronomers say the sun this fall ought to be nearing the explosive climax of its approximate 11-year cycle of activity—the so-called solar maximum. But this peak is “a total punk,” said Jonathan Cirtain, who works at the National Aeronautics and Space Administration as project scientist for the Japanese satellite Hinode, which maps solar magnetic fields. “I’ve been a solar physicist for 30 years, and I’ve never seen anything quite like this,” says Dr. Richard Harrison, head of space physics at the Rutherford Appleton Laboratory in Oxfordshire. “If you want to go back to see when the Sun was this inactive… you’ve got to go back about 100 years,” he says. Dr. David Evans, an electrical engineer and mathematician, who earned six university degrees over ten years, including a PhD from Stanford University in electrical engineering said, “If the Sun mainly controls the temperature on Earth, a turning point is almost upon us. The reason for the cooling is the dramatic fall in solar radiation that started around 2004.” There is a delay — probably of around 11 years — between changes in sunlight and temperatures on Earth, says Evans. The decline in the energy output of the sun is extremely rapid at this point. Satellite and NASA datasets show that rapid cooling is underway. The cooling we are seeing in the troposphere really is spectacular. What we are experiencing is the second largest cooling in 37+ years of satellite records. We have had plenty of warnings through the last 10 years, which politicians have deliberately ignored. Scientists warn that the Earth is just 15 years away from experiencing a “mini ice age” — something that has not happened in 300 years. Solar scientists say that the latest model shows the Sun’s magnetic waves will become offset in Cycle 25, which peaks in 2022. Then, in Cycle 26, solar activity will fall by 60 per cent. Professor Valentina Zharkova at Northumbria University is suggesting there could be a 35-year period of low solar activity that could usher in an “ice age.” Zharkova and her team of researchers released a study on sunspot modeling, finding that solar activity could fall to levels not seen since the so-called “Little Ice Age” of the 1600s. She is just one of many scientists who have warned us but presidents and Popes have just chosen to ignore them. 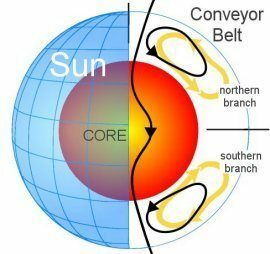 For years on NASA’s official site we read on May 10, 2006: The Sun’s Great Conveyor Belt slowed to a record-low crawl, according to research by NASA solar physicist David Hathaway. “It’s off the bottom of the charts,” he said. “This has important repercussions for future solar activity.” This page has recently disappeared from NASA’s site. According to theory and observation, the speed of the belt foretells the intensity of sunspot activity 20 years in the future. A slow belt means lower solar activity; a fast belt means stronger activity. “The slowdown we see now means that Solar Cycle 25, peaking around the year 2022, could be one of the weakest in centuries,” says Hathaway. Here we are at a peak period in Solar Cycle 24 and the sun is quiet but it’s going to get a lot quieter and a lot colder. January’s Sunspot count came in at 6.7, which was down from December’s 8.2. The following chart includes the latest post and covers Solar Cycle 24. The high was 145 in February 2014, which compares to the high of 238 in September 2003. With the decline in solar activity, the number of Spotless days continues to grow. It’s the way it works. So far, this year there has been 17 days, or 52% for the year. In all of 2017, the number was 104 days or 28% and the year before it was 32 days or 9%. For 2015 the count was zero, as it essentially was back to 2010.